Living here at The Fahm has really had an effect on Raj and I, and our relationship - so much so that for Valentine's Day we got one another wood splitting tools! 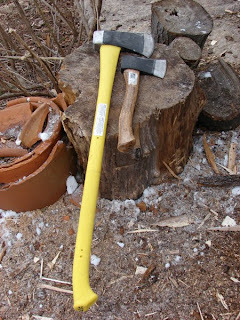 Raj got a splitting maul and I got a hatchet; we also got thermal gloves with rubber grips, and a pair of woolen socks guaranteed for Arctic temperatures, for Raj. 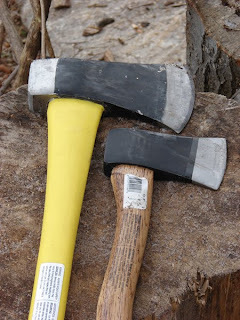 The sweetness of these gifts is not to be missed; wood splitting tools here at The Fahm represent heat and fuel and flames and comfort and survival in the event of a power failure and I think that's a reasonable definition of a Fine Romance don't you?